Regardless of using the search and 'World map' capabilities, it could be difficult sometimes to find the tour you need among the published ones. To make your journey through Roundme more comfortable, we have implemented a 'Tour galleries' feature. 'Tour galleries' are the folders for the tours. This feature is used to gather the tours created at the same location/time/weather, etc. There is a default gallery which is created automatically for every Roundme account. 'Liked tours' Gallery contains all the tours the user liked. This gallery helps you to bookmark the tours to review them later. 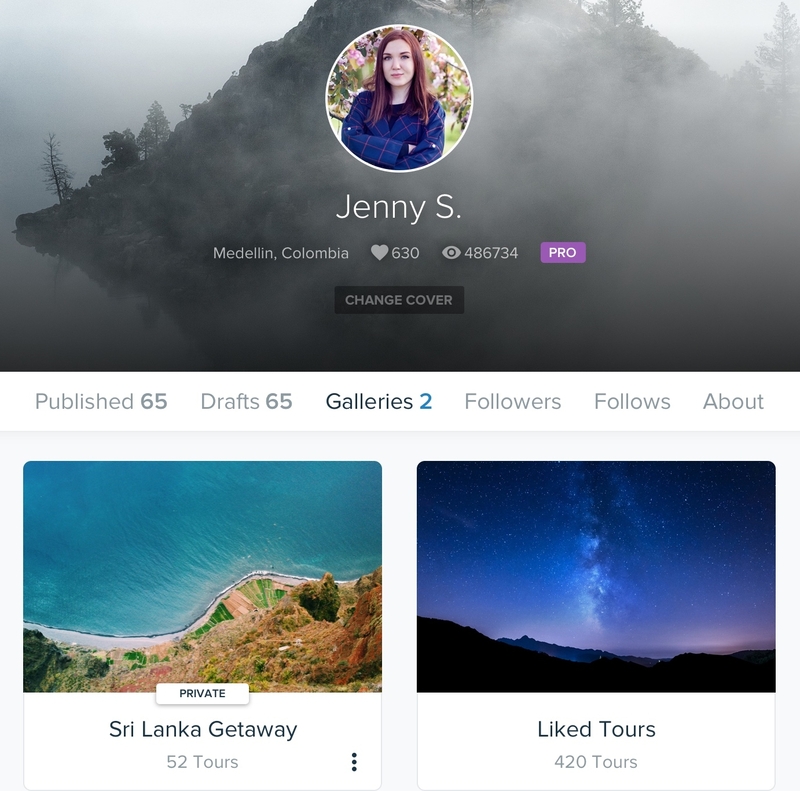 This gallery is public and all the other Roundme users can also browse it to learn a bit more about you and your interests. Not all the galleries are listed in the author's profile. Private galleries are available only by the secret link. The link to your Private gallery can be obtained in its settings. Here you can learn more about creating and editing your galleries.